It would add $2 trillion to the U.S. budget, for starters. So, in short, it’s a baseline income that is given to all. It is given outside of work, assistance programs, certain qualifying factors, etc. There is the possibility of implementing both full and partial UBIs, and it is a solution that has been posed to issues of unemployment, especially in the age of automation. 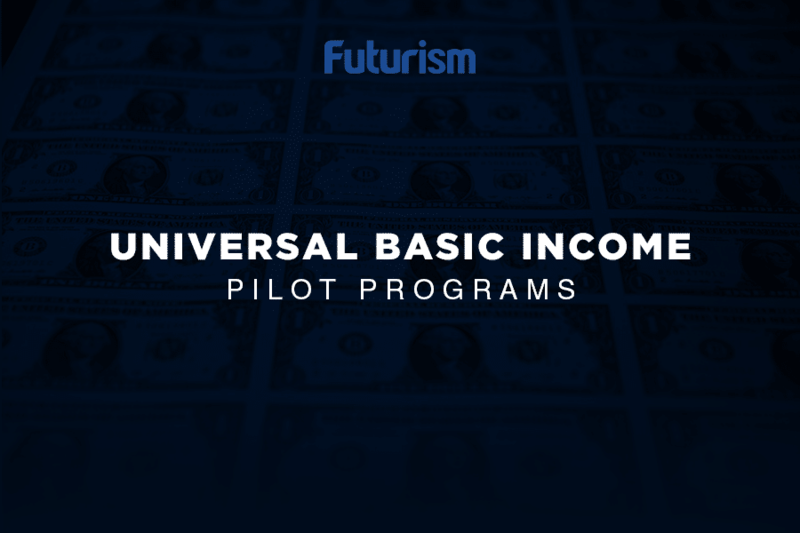 Some think that, as more and more jobs are made obsolete by technology, UBI could be what saves a large percentage of the population from desperate circumstances. Many argue that UBI could alleviate poverty as automation-caused unemployment becomes a very real threat. One potential benefit of a UBI is that, unlike bureaucratic and often flawed assistance programs, it could, theoretically, legitimately level the playing field. Opportunities like education, career advancement, and self-betterment that are often only afforded to the wealthy could become accessible to much larger populations. But, there are many who are not on board with this potential plan. According to some experts, a $10,000/year UBI could add approximately $2 trillion to federal spending annually. Others are more focused on the possible effects that could arise from people who might no longer benefit mentally and emotionally from working for their salary. The idea of a basic income is a good one in a world where robots do most of the work, but we probably won’t be there for 30 to 50 years. While automation is replacing many jobs, it’s also creating new ones. There’s still plenty of unmet needs and work to do, so the right strategy for the current situation is to prepare people for those new tasks…we’re not rich enough to afford a basic income that will provide everyone with a decent standard of living without having to work. Even if there is a large drop in earned income in the near future, there are alternatives to a UBI that several experts support. For example, Robert Gordon, an economist at Northwestern University, suggests that, rather than create a entirely new benefits system, the best option for the U.S. is to expand and improve existing safety-net programs, especially by increasing the Earned Income Tax Credit. This would present people with a continued incentive to work, even if it was for few hours or lower rates. “I’d make benefits more generous to reach a reasonable minimum, expand the Earned Income Tax Credit, and greatly expand preschool care for children who grow up in poverty,” Gordon said to the MIT Technology Review. Experts will likely continue to debate whether a UBI will alleviate poverty and solve inequality issues in the ways that we need and hope for, but perhaps not for too much longer. We may soon have more concrete evidence on the costs and effectiveness of UBIs as several countries begin implementing them. In fact, Finland has already started testing the waters.